Hit full shots with confidence with the best pitching wedge for your swing type. Learn more about the importance of having the right pitching wedge in your set. The pitching wedge is the most common wedge, designed for full shots that have a higher flight, while never compromising the versatility around the green. Vokey pitching wedges are engineered with a lower center of gravity, helping players hit their trajectory window more consistently. 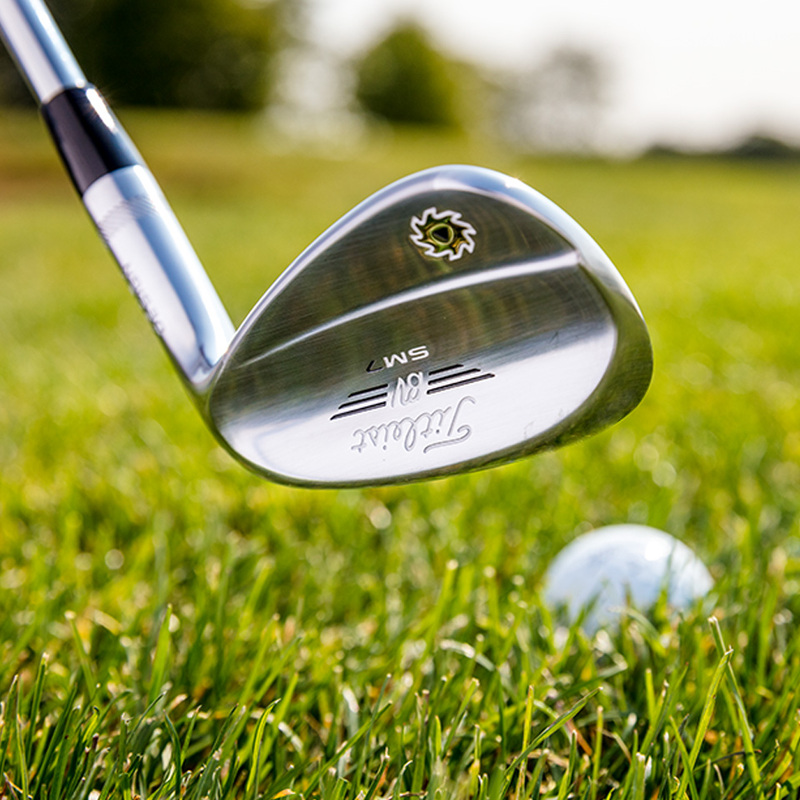 Vokey pitching wedges are also distinctly crafted with narrower, deeper grooves in the club face, allowing for maximum control and longer-lasting spin. With this innovative design, Vokey offers some of the best pitching wedge options for amateurs and pros alike. The standard pitching wedge loft is between 44°- 48°, but because pitching wedge loft has become stronger over the years, most pitching wedges are now 44° to 46°. 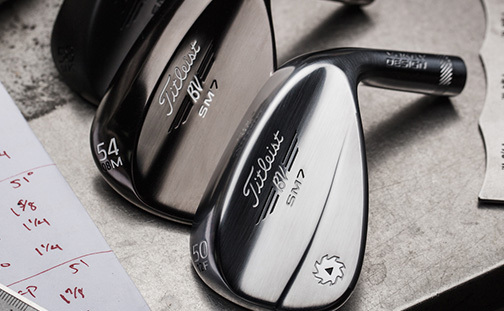 With these lower pitching wedge lofts, it is even more crucial to establish a good gap between wedges, so that your pitching wedge loft is within 4°-6° of your next wedge. 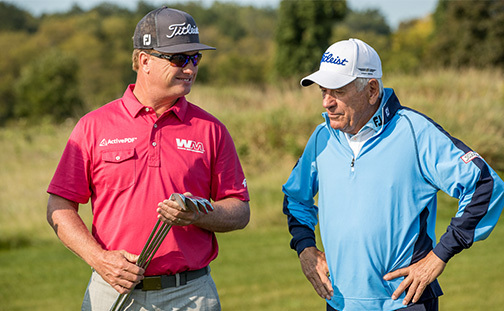 By finding the right set composition based on your pitching wedge loft degree, you can improve your game with tighter distance gaps and more full swings at wedge distances. The Vokey pitching wedge bounce is at 10°, allowing for better full-swing shots in all types of turf conditions. The pitching wedge distance is the furthest in the wedge set—reaching 100 yards or more for most golfers—which is why it is critical for the pitching wedge to be played off any surface. Because of the versatility that the pitching wedge bounce and F Grind provides, pitching wedges can also be used for creating longer chip shots around the green. "A player playing a Vokey PW is looking for a scoring club that offers versatility and maximum spin." 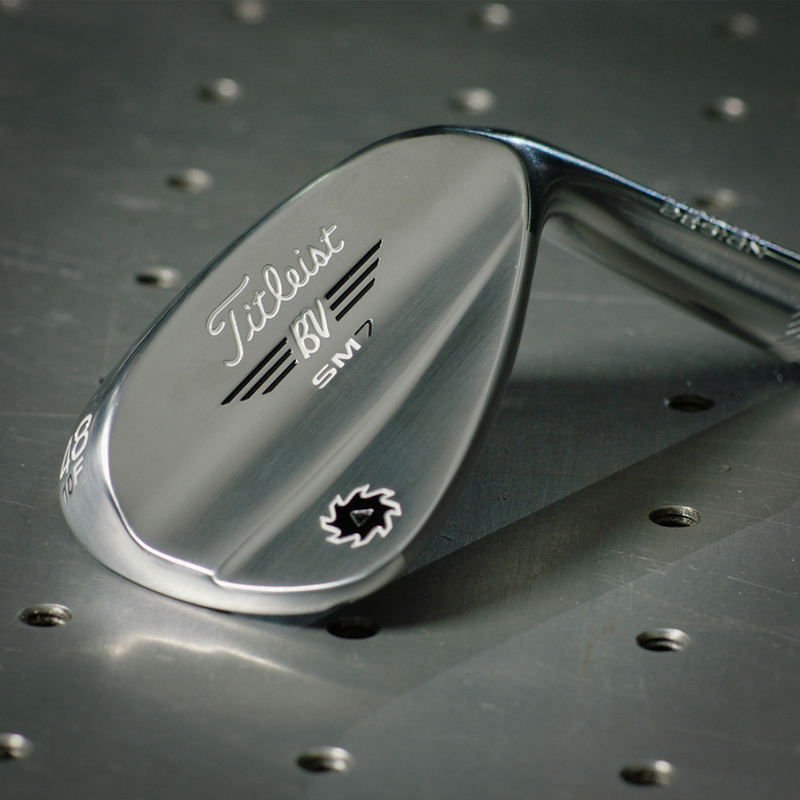 Vokey Design SM7 offers the highest level of pitching wedge performance on the course. Find the best pitching wedge for your set. Choose your pitching wedge by first finding the right pitching wedge loft, bounce, and grind for your swing type and style. What is the best pitching wedge for high handicappers? If you were fit for your irons, the set pitching wedge will probably be the best option for high handicappers. There are several differences between a set pitching wedge and a Vokey pitching wedge. The set pitching wedge will have the same technology and profile as the rest of your set, including head shape, groove and MOI. A Vokey pitching wedge will typically feature a more aggressive groove and more compact head shape. What degree is a standard pitching wedge? Traditionally, a pitching wedge had 46-50° of loft, but as set lofts get stronger, the pitching wedge continues to get stronger as well. How far can you hit a pitching wedge? There is no standard pitching wedge distance. Every player hits their clubs different yardages. It is important to have the proper loft gapping in your wedge set to promote more full wedge shots. Voke recommends 4-6° of loft between each wedge. What’s the difference between a sand wedge and a pitching wedge? A pitching wedge is primarily used on full shots and long pitch shots, but can also be a valuable tool around the greens. A sand wedge was originally designed to be used out of the sand and around the greens, but can also be used on full shots. With the Wedge Selector Tool, you can explore your pitching wedge options and determine the right loft, bounce, and grind for you.